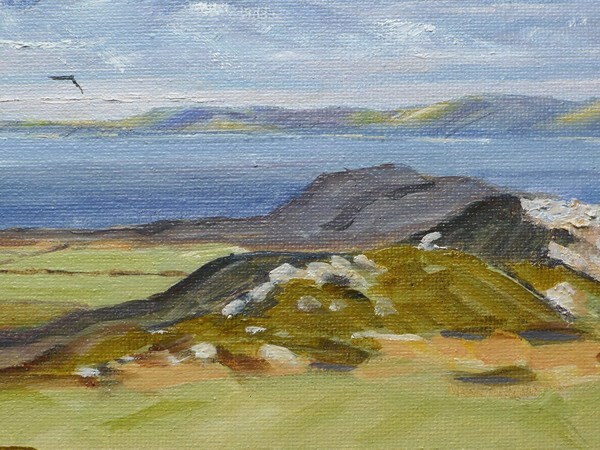 A painting of Garn Fawr in Pembrokeshire, and the view looking north. 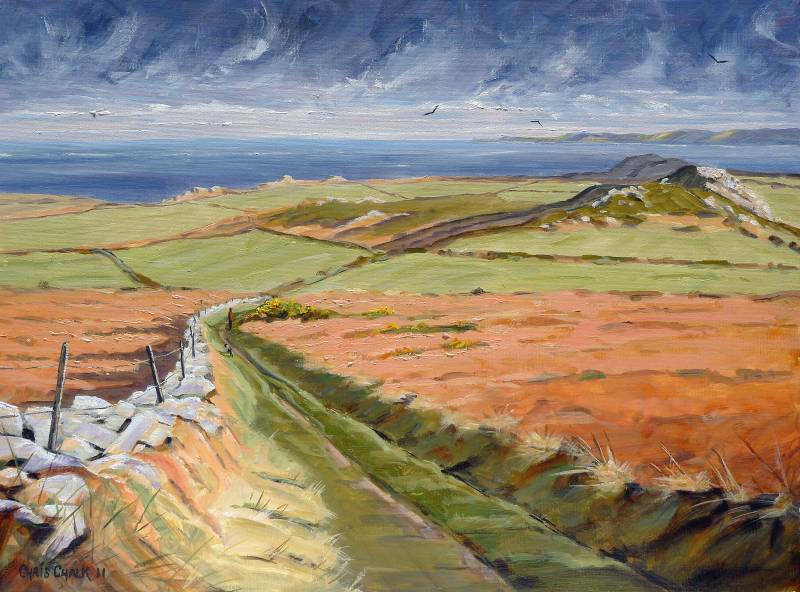 Garn Fawr is a rocky summit near Strumble Head in Mid Pembrokeshire, and if you walk to the top the views of Strumble lighthouse, Pembrokeshire and it's rugged beauty, are quite amazing. 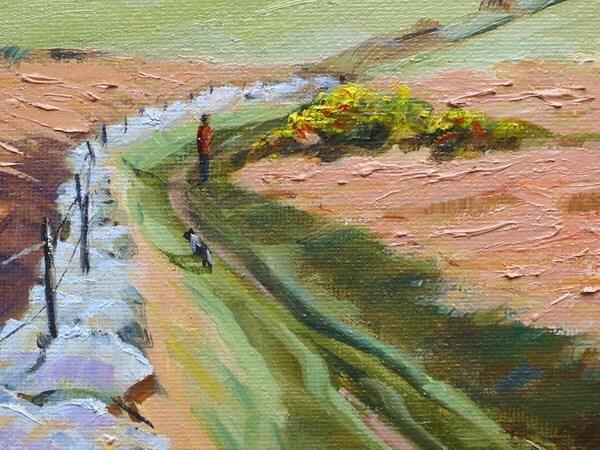 Painted with a variety of colour, tone and interest, even in the far headland, means that this whole painting is very engaging.